What am I worthy of? As I welcomed the New Year and thought about all the resolutions that I had committed to in past years, one very important lesson dawned on me: I have learned that New Year resolutions are successful when we heal enough to believe we are worthy and deserving of those resolutions. For the past couple of years, after leaving a 13 year career, I have been struggling with defining what I want to do next in my life. For most of my adult life, I have always known what I would do next. After I graduated from high school, I attended college, then I applied for a teaching job, which lead me to a Master’s program, and so on. There was always something concrete that I could grasp for, A defined goal with very structured and delineated tasks. There were always two results: I either obtained what I was applying for, or I didn’t. Now the hardest aspect about my journey is having to navigate through uncertainty; not knowing what the next step looks like, how it will unfold. Not even knowing what the end-result might be, yet trusting my heart to take that next step. I am familiar with fear – the kind that I grew up with. Fear of getting in trouble, fear of “bad” people, fear of getting hurt, fear of not having enough food, fear of not finding a place to live, fear of failure. But the kind of fear I am experiencing now, I have never felt before. I have a vision that has come to me in pieces through dreams, symbols, and feelings that arise from the deepest part of my essence. As I’ve started to make sense of the pieces, my vision has become clearer, while the resistance of taking the first step toward fulfilling my vision has become stronger. Understanding where this resistance is coming from has been the greatest struggle to accepting that I am worthy of my vision. We all have a purpose to serve and fulfill in our lives, and that purpose is revealed through our vision. 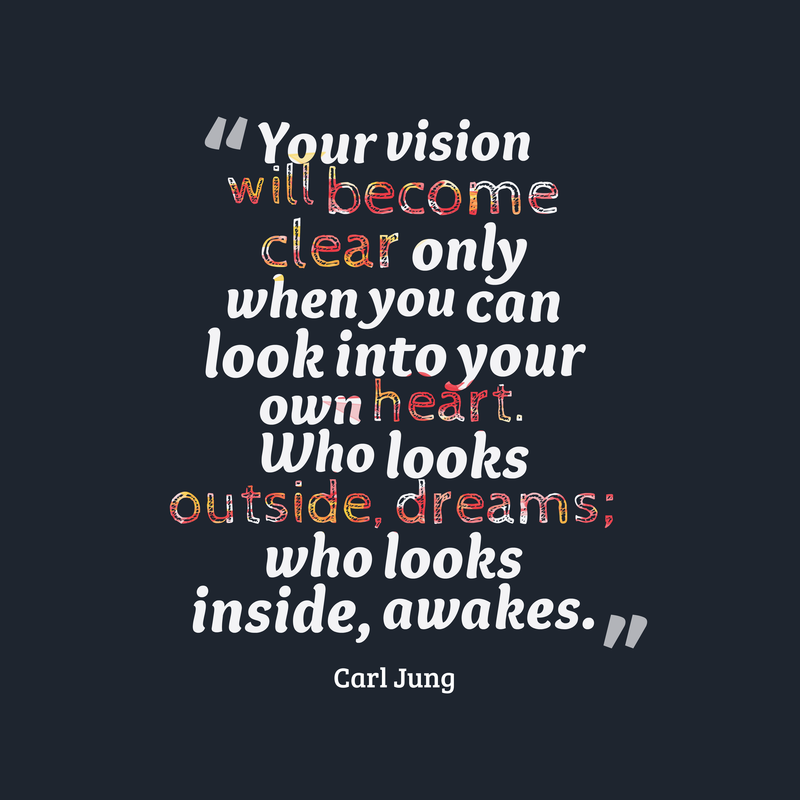 It’s up to us, however, to pay attention to our hearts in order to discover our vision. Toni Morrison, one of my favorite authors, wrote her first novel at age 39. She spent a great part of her life searching for the types of stories she was yearning to read, and when she didn’t find them, she realized that it was up to her to write them. Our vision begins to come to us when what we are yearning for, we cannot find in the world around us. As my experience and passion for teaching, mentoring, and serving youth increased and I learned to listen to our youth, I began to discover that the systems through which I was serving them would never allow me to provide fully what they deserved. The gap between what I could provide them in the classroom and what they needed was ever-widening, creating a drift between my soul and the role I was fulfilling. It was then that I began to envision. I know what I am. I know who I am. I know how I serve. Fear of fulfilling my purpose, fear of success, fear of creating, and fear of not having what it takes keeps me from receiving the gifts that my soul is offering me. My relationship with my soul is about co-creating my life so that I am living it to the fullest and aligning it with my purpose. However, in order to do this I must get to a place where I truly believe that I am worthy of the gifts, the abundance, my soul has to offer me. By abundance I am not referring to material wealth, but rather the possibilities and resources that are available to me as I take the first step to commit to doing something good for and with my life. As I become open to receiving, and trusting my soul, my vision will become clearer, unwavering, and most of all, more powerful than my own fear of fulfilling it. So when I ask myself, “What am I worthy of?” My response must honestly be, “I am worthy of any blessings or desires that are a manifestation of my inner life. I must believe this without any shadow of doubt. Believing is not just the ability to think something is possible; it is to recognize in my soul that it is inevitable. My self-esteem comes from myself. As the daughter of the universe who comes from the stars, my worthiness is given. I take full responsibility for my life and what it is and is not. I understand the importance of having harmony between my thoughts, my feelings, and my actions. This harmony translates into peace and contentment. There is nothing my highest self wants more than peace. This is the peace that makes me feel worthy of all the richest blessings of the universe. I am worthy of that which reflects how much I believe I’m worth. And so each time I am called by my soul to be a greater manifestation of myself, to fulfill a greater purpose in my life, I am also called to the work of believing in my worth. I remind myself of all that I have overcome and I celebrate my strengths, and make note of how they have contributed to me coming this far. I often focus so much on my challenges and failures that I forget that those are the platforms from which I forge my strengths and successes. This allows me to see that I already have everything I need to fulfill my purpose, I just have to remember and trust that I do. Even when the vision seems so overwhelming, I remind myself of the next practical step. The vision of a tree begins with the germination of a seed. As small as that process may seem, it is significant to the fulfillment of the miraculous tree. Each step is important to my trust in the process and myself. As I move through each step, I learn what I need for the next. Plus, overcoming the fear of the next step is much more doable than overcoming the fear of my vision. I pay attention to what I am learning and how I’m growing along the way. I especially focus on the learning that guides me to be a more authentic version of myself. When learning becomes my accomplishment, then the things I fail at also become part of fulfilling my purpose. This in turn allows me to release more layers of fear and discover more of who I am and what I have to offer – knowing that we all have a genius to offer the world. Genius is more than an idea. Genius is hard work; hundreds and hundreds of hours of hard work. It’s taking risks, making mistakes, starting over, getting lost, discovering, surpassing expectations, finding miracles, and creating new. It’s tedious work and uneventful hours, lots of waiting and uncertainty. But if it makes me come alive, it is the calling of my soul, and I am worthy of the work. I sit in silence, attentive to my inner voice. To the whisper that drowns the loud echoes in my mind that beat like a drum, “you are not good enough.” I wait for that inner voice, invite it to my awareness because there is where I find God, where I find truth. Each time, I learn again, I am spirit housed in a physical body, brought to life by the universe to fulfill a divine purpose, for every single being that exists, from the stars to a grain of sand, has a purpose.